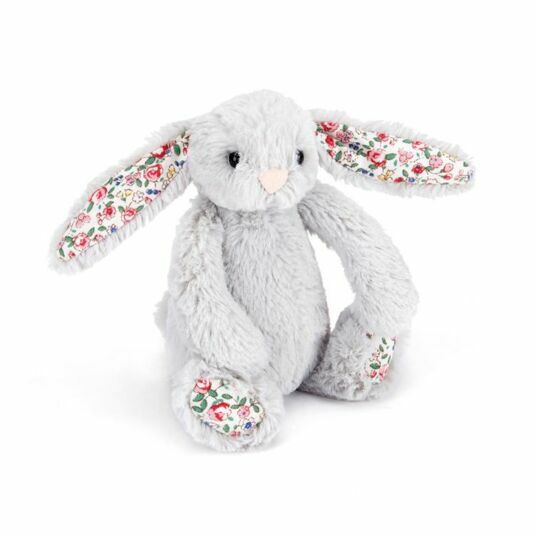 This wonderful Baby Blossom Silver Bunny brought to you by Jellycat; is a fantastic cuddly bunny. She is a great companion, ready to jump, run and play. Great for warm snuggles and lots of fun!